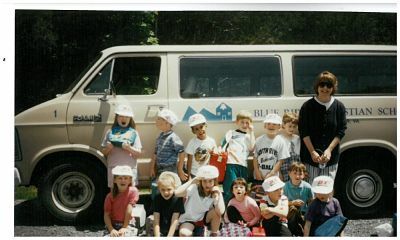 On May 1, 1990, Christian parents from across the Shenandoah Valley of Virginia gathered and decided to launch Blue Ridge Christian School, a parent-owned, non-denominational Christian school. That very night 43 students were registered in the newly formed school. The summer of 1990 was full of excitement as these same dedicated parents secured teachers, searched for a building, enrolled students, and hired the first administrator. Just two weeks before classes were scheduled to begin, the doors opened for Blue Ridge Christian School (BRCS) to purchase the vacant former Bridgewater Elementary School. Parents and faculty worked side by side to clean and paint classrooms before the first day of school. On September 10, 1990, BRCS began the school year with 80 students in grades Kindergarten through 7th. Since 1990 when our founding families stepped out in faith to begin BRCS, the school has grown in numbers, reputation, and programs offered. Today, after significant growth, students in Kindergarten through 12th grade represent over 70 different local congregations in the Shenandoah Valley. Not only do we have diversity in denominations, we are excited about the increasing cultural diversity as each new school year brings more students of different heritages to fill the classrooms.